Think about how you want to relay the meaning behind your visual flat lays on Instagram. 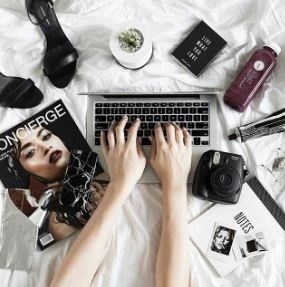 You don’t have to own the expensive clothes and jewelry used by famous lifestyle bloggers to catch the eyes of current and potential followers. So long as you have an eye for style, you can use whichever items you have on hand and place them in an attractive arrangement. Find a balance between colours; you can stick to one basic colour, or you can spice it up with a splash of colour. Play around with the look until you get it just right. 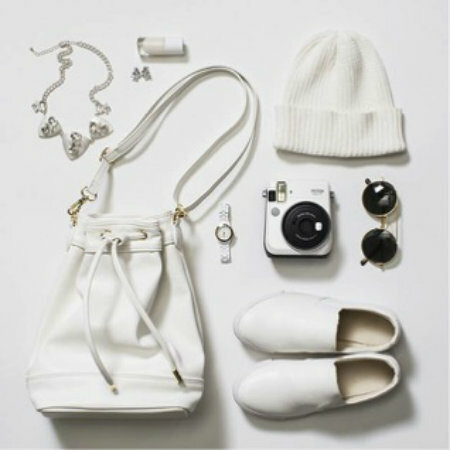 Pair larger clothing items with small accessory items such as rings, sunglasses and nail polish. 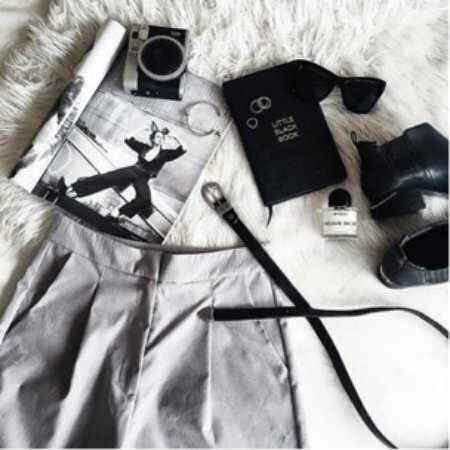 It looks a lot more organized, and your followers will be able to see multiple pieces of your wardrobe and lifestyle. One of the most important aspects to achieving flat lay success is finding natural and balanced lighting. Simply use natural lighting through a window, or follow the recommended light setting from your instax camera. A patterned or cluttered background will lead to confusion and take away from the items in your composition. Attract the viewers to your flat lay items by placing them on a clean, blank surface. 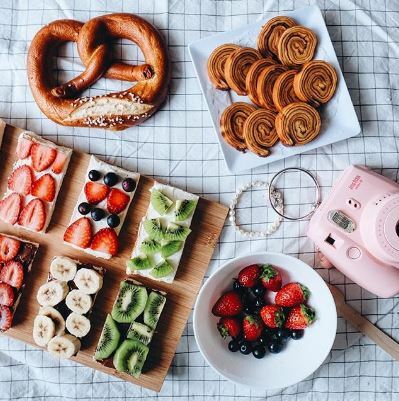 Bring out your colourful food items, plants and accessories—and don’t forget to show off your awesome instax photos and accessories! Deliver a special message with your favourite inspirational quote or one-liner. 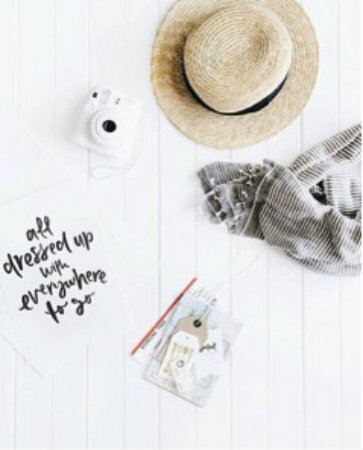 Use a quote that relates to the theme of your flat lay. For example, if you’re creating a travel essentials layout, use a quote that inspires your followers to go explore. 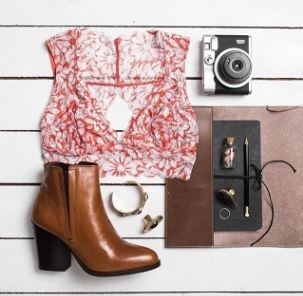 Whether you’re modeling your outfit of the day (#ootd) or documenting a travel adventure, instax can help you share the exciting Instagram flat lay magic you create. Best of all, you may just earn yourself a couple extra followers along the way. Happy flat-laying!